Metadata may be written into a digital photo file that will identify owner of it, copyright and contact information, what camera created the file, along with exposure information and descriptive information such as keywords about the photo, making the file searchable on the computer and/or the Internet. Some metadata is written by the camera and some is input by the photographer and/or software after downloading to a computer. 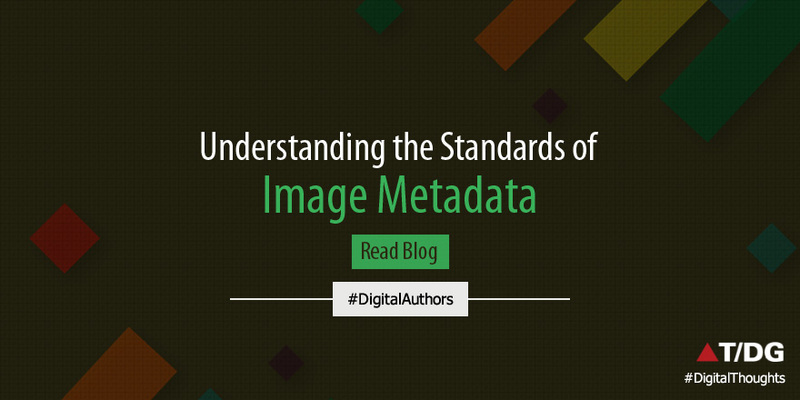 Photographic Metadata Standards are organizations by the following standards. IIM attributes are widely used and supported by many image creation and manipulation programs. Almost all the IIM attributes are supported by the Exchangeable image file format (Exif), a specification for the image file format used by digital cameras. IIM metadata can be embedded intoJPEG/Exif, TIFF, JPEG2000 or Portable Network Graphics formatted image files. Other file formats such as GIF or PCX do not support IIM. IIM’s file structure technology has largely been overtaken by theExtensible Metadata Platform (XMP), but the IIM attribute definitions are the basis for the IPTC Core schema for XMP. IPTC Standard consists of two schemas IPTC Core and IPTC Extension. They define metadata properties with comprehensive sets of fields that allow users to add precise and reliable data about people, locations, and products shown in an image. It also supports dates, names and identifiers regarding the creation of the photo, and a flexible way to express rights information. XMP originally created by Adobe Systems Inc., for the creation, processing and interchange of standardized and custom metadata for digital documents and data sets. This metadata describes various properties of the image like the creator tool, image dimension or a face region within the image. The standard is designed to be extensible, allowing users to add their own custom types of metadata into the XMP data. Embedding metadata in files allows easy sharing and transfer of files across products, vendors, platforms, without metadata getting lost; embedding avoids a multitude of problems coming from proprietary vendor-specific metadata databases. XMP can be used in several file formats such as JPEG, JPEG 2000, JPEG XR, GIF, PNG, TIFF and many more formats. Digital cameras store technical metadata, named Exif data, into image files (primarily JPEG and TIFF formats) they create. Its primary feature is its ability to record camera information in an image file at the point of capture. Some common data fields include the camera make and model, its serial number, the date and time of image capture, the shutter speed, the aperture, the lens used and the ISO speed setting. Its metadata often includes other technical details, such as white balance and distance to the subject. PLUS provides a universal metadata standard to describe licensing and rights granted for photographs. PLUS License Data Format (LDF) will reside in a broad range of applications used in digital asset management, imaging and licensing, allowing customers to easily access and read the license information associated with an image. Wow, good article. For common insider or latest technology news www.commoninsider.com . Remarkable things here. I'm very happy to look your article. Thanks a lot and I'm looking ahead to contact you. Will you kindly drop me a e-mail?